We encourage you to sign up prior to the class so that our educators can be ready with all the materials and set up the space so it is most conducive to learning and in event of a reschedule or cancellation, you are notified. Certain workshops have limitations on space , materials, and the number of students that it best serves. This honor's everyone's time and expertise. We do understand that sometimes we just find ourselves at places as the spirit leads us so you are welcome to jump in. Each class has it's own contact and registration directly to the instructor. If you have any questions, feel free to call Lyn, 215-813-4073, if the information doesn't provide what you are looking for! Our calendar link also provides all the details. We welcome you to our community to grow and expand! Come celebrate the Joy of the Silence of Spirit within each and every person. Based upon the Movement of Spiritual Inner Awareness (MSIA) and the practice of re-cognizing yourself as a Soul, through Soul Transcendence. We will listen to meditations, chant a tone called Ani-HU, read from some beautiful inspirational books, just start to quiet our minds so we can hear our self! Discuss, talk and express the beauty of who we are as Spiritual Be-ings in a body. This can evolve into whatever we want to manifest for the highest good of all concerned. Come with a heart that is open to experience the loving! Donations will be given to Insight Teen Seminars and the upcoming July program. Spiritual Growth in January 2019! Free Holistic Classes January 26, 9-5 pm! Energy is vast and pervasive. It is all around us, and we are forced into a relationship with it. All interactions contain an energetic component. The unifying forces of the Universe are omnipresent in both living entities and inanimate objects. People, animals, situations, objects, and environments contain and give off energy. To discover how to observe and direct this abundant energy is to harness the power at our finger-tips. By understanding and being consciously aware of the energetic impacts that can be created, it is possible to manifest our will. This course will discuss the source of energy, increase your awareness of the energy around you, reveal external indicators of internal energies, and help you understand how you impact the energies around you. Based on Diane Wing’s book The True Nature of Energy: Transforming Anxiety into Tranquility. 11 am. Dance is the most beautiful movement for woman's bodies and overall health. Gently, gracefully, we feel good in our body where it is allowing it to rebalance to greater health. Sensual dance supports us grounding into our deva, plays with movements that inspire and delight our femininity and smooths out our shape for less clothes. Lyn Hicks will share the Persian, Egyptian traditions of movement, ancient woman's secrets for feeling good in our bodies, awakening our intuition and flowing grace. For all fitness levels and ages. It is movement so be prepared to awaken that leaner version of yourself. Wear something comfortable that inspires your to feel beautiful! You can easily practice it at home to support that sleek beauty you are. Sharon Kachel will share her healing gift with singing bowls, crystal bowls,chimes, tingsha bells, tuning forks and a gong. ​Experience the healing properties of sound. In this class you can expect to listen and relax to the sounds of Tibetan singing bowls, chimes, tuning forks and other instruments pitched to different frequencies that take the mind on an immersive healing journey. Each sound frequency helps to restore and optimize the flow of energy throughout the body. You can expect to leave this class feeling rested and rebalanced. Awaken Creative, Alternative Ways to Health and Happiness. Join us for a full day of free Holistic Education. Beginning at 9 am with Tai Chi Health with Lyn Hicks and ending at 5 pm with a small reception. 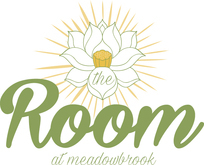 Included Classes: Nutrition with Tammy Westney, Intentional Thinking with Alyssa Martin, Meditation with Carol Riggio, Jin Shin with Sue Walski, Essential Oils with Sharon Cowell and more! The full page and details here! Learn how to combine essential oils for yourself and your furry friends. Join Dr Sue and Sharon for an educational class on how essential oils can help your household and your pet concerns. $20 for class, and if you purchase a starter kit we will reimburse that $20 towards your purchase plus donate $10 to a local rescue. Have you ever sensed that there is more of You than you're already in touch with? Do you ever wish you could harness the energy of the Universe and shape your life with more ease? Would you love to be able to simply Ask and Receive more of what you're desiring? There is an Empowered You just beneath the surface and she is waiting for you to invite her to play. This part of you can help you actualize your desires with ease and joy and outcreate beyond what you think is possible! You are more powerful than you know. You are capable of incredible things and can literally create magic and miracles! Tapping to the empowered part of you will allow the 'real you" to emerge and can unleash exactly what you're asking for. Join us as we identify and release the biggest obstacles keeping her at bay, create new space for her to emerge and activate her ability to us forward! From Ha-Ha to Aha! Laughter Yoga: “Creativity to Enhance your Life"
New ways to play with the healing and expressive arts! ​Creative Paths to Self Development. Join our mailing list to stay posted!